It has been predicted that the number of people on earth will be outnumbered by the number of mobile -connected devices in 2014. For that reason alone, every nonprofit should be thinking seriously about creating a website that adapts well on mobile devices. When we use the term ‘design’ in ‘responsive web design’ we are talking partly about aesthetics, i.e. the appearance of the website, how nice it looks and so on. But we’re also talking about a lot more. When you have a sleek website which is optimized for use on mobile devices, it’s more likely the website will also have increased speed and functionality, meaning it can be accessed flexibly from anywhere. This is crucial for today’s users of mobile internet. People use their phones and iPads when they are on the train to work, when they are at the office, or when they are relaxing on their sofa after a hard day. 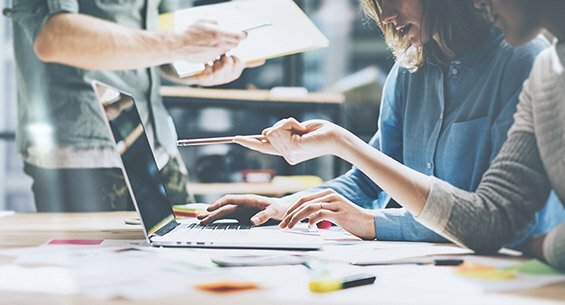 They don’t expect the same user experience from a mobile device as they do from their desktop computer. If a nonprofit wants to ensure its website is modern and user-friendly, making it mobile-friendly is a necessity. This doesn't mean taking your existing nonprofit website and making it work on mobile devices. It requires a far more complex process of re-building and re-programming the website for mobile usage, so that your viewers have an entirely different experience according to the device they are using. You probably already know the peak time of day that supporters visit your site. However you may not know where they are;it’s likely that a large proportion of them are outside of the home– in a coffee shop, at work, on vacation. In which case, they are probably using a mobile device. Make life easier for them as they browse your site on-the-go by creating a sleek, mobile-friendly website. On a related note, once you have made your website mobile-friendly, your web traffic is likely to see a boost. Why? Because browsing your site will be a positive experience and people will be more likely to come back for more. With so many nonprofit websites competing for our attention, why would we spend a minute longer on a website that doesn't load properly on our smartphone, or is difficult to use because it was designed with desktop computers in mind? Even worse, imagine your website with stretched and out-of-place photos because they are not optimized for mobile users. If you create a more pleasurable user experience, people are more likely to react positively to your brand. People will also view your nonprofit in a more professional light because it appears to be keeping up with the times. Those things matter. Your website is the first thing anyone sees, so it’s important that its appearance and usability are the best they can be. Responsive design for nonprofits tries to anticipate how users will interact with the site on different devices. Do most people make donations on a desktop or on a mobile device? Do people need lots of background about the nonprofit and its mission on a website that is optimized for mobile, or does that make the website look cluttered once it is on a smaller screen? It’s considerations like these which are crucial to making your website just as streamlined as it is aesthetic. When functionality and beauty are both present, your website will be worth re-visiting. Shopping via mobile devices is the future. According to one statistic, sales via-mobile devices including smartphones and tablet computers rocketed by nearly 140% in 2013, compared to a year earlier. If people are purchasing online via mobile devices, there’s no doubt they are making donations the same way. 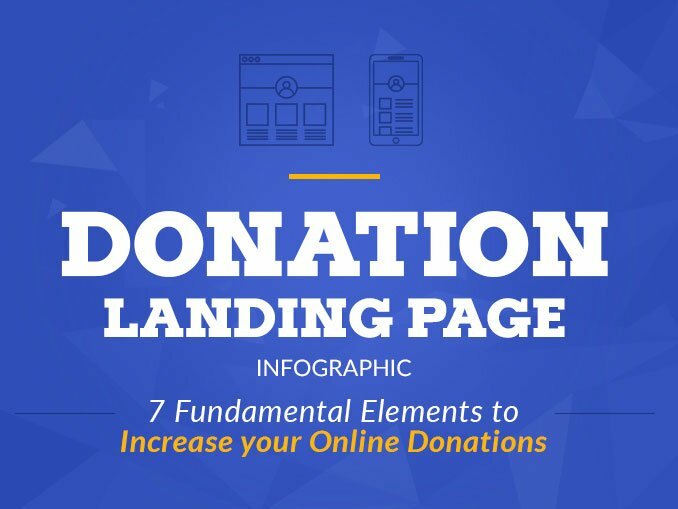 Granted some of your donations may already be processed via a mobile device, but there are likely things you can do to optimize your website to make it even easier, and bring in more donations that way. You can also harness the power of email marketing to boost sales via mobile devices. Email marketing is known to be one of the most effective ways for nonprofits to get their message out there. By including a link in emails to a mobile-optimized site, you can encourage people to access your website while on the move. In branding terms, getting up to speed on mobile optimization can keep your nonprofit’s message relevant for longer. Investing now in the most technologically-savvy responsive web designs will help your nonprofit for years to come. One thing we are often asked is how difficult it is to maintain website content across multiple devices. Luckily responsive design means you’ll avoid time-consuming maintenance of different sites. As responsive design works seamlessly across different devices, you can just use the same platform via your content management system to update all your content hassle-free. Nonprofits have as much to gain from creating mobile-optimized content as any other company or organization. It’s no secret that our online habits are changing at a rapid pace. From improving your website’s appearance on mobile devices, to simplifying the process of donating, the benefits of using responsive design for nonprofits are clear.Ensure you keep your nonprofit modern and relevant by joining the mobile revolution.